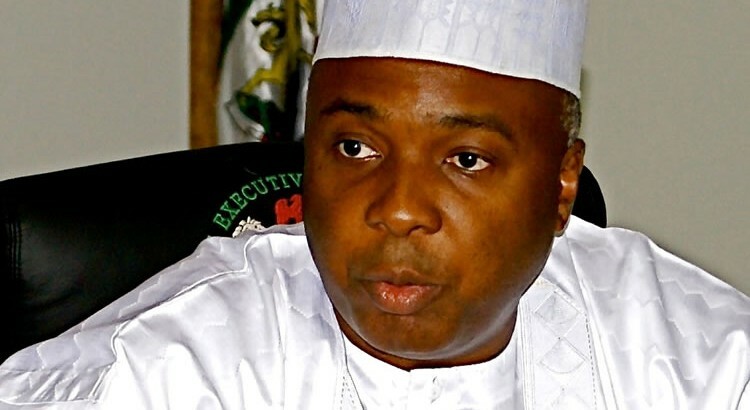 Concerned by the worsening conditions of Nigerians as a result of the economic recession, the President of the Senate, Dr. Bukola Saraki, said tuesday in Ilorin that the Senate upon resumption next week, would probe the cause of the recession, stating that it was necessary to know why in spite of budgetary provisions, many more citizens have receded below poverty line. “The Senate on resumption will respond to the economic crisis with a number of measures including getting managers of the economy to give account to the people, making tough recommendations to the president on needed changes, formulating necessary legislative framework for economic recovery and undertaking wide consultations across the private sector,” he told journalists at his residence during the Eid-el-Kabir celebrations. Worries about the ailing economy were shared also by a former Minister of Finance, Dr. Ngozi Okonjo-Iweala, who offered some tips on the way out of the woods, saying effective handling of spiralling inflation, foreign exchange problem, fiscal deficit and debts control were key to resolving the current economic crisis. Okonjo-Iweala who spoke on Aljazeera TV programme, The Stream, said focusing on the basic issues of macroeconomic stability was crucial to fixing the country’s economic challenges. Wondering why all the measures aimed at cushioning the effect of the recession built into the 2016 budget had failed, he said the Senate would interact with the executive to identify where the problems were. “The Senate intends to invite everybody involved in the management of the economy to address the Nigerian people through the parliament on the steps that are being taken to get us out of this mess. We fully intend to hold all those involved in the economic management of the country accountable. However, we will do so in a manner that is transparent and there will be no cover-ups. We will make tough recommendations as necessary,” he said. Suggesting a holistic approach to the efforts to pull the economy out of recession, Saraki said it had become necessary for the executive arm of government to accept his earlier offer of collaboration with the legislature and the private sector to resolve the prevailing challenges. “In every crisis, there is always an opportunity for positive reforms. In this regard, in order to solve this crisis, all hands must be on deck. Ideas should be sourced from all quarters. All arms of government, people of different political beliefs, from all socio-economic backgrounds and every part of Nigeria must work together at this time,” he said. He said the Senate would take the lead in encouraging a collaborative approach to the nation’s economic revival by meeting with stakeholders in the private sector to ensure it collates a broad spectrum of opinions while formulating ideas to stimulate the economy. Saraki assured Nigerians that the Senate would play its constitutional role of providing the legislative framework for the revival and growth of the economy in the interest of the people. “We are going to have an exhaustive and comprehensive debate on fixing the country’s economy when we resume next week. We understand the pains that Nigerians are feeling and we do not take this for granted,” he said. The Senate president called on all political leaders to show concern about the sufferings of the ordinary people, adding that it was necessary for leaders to always empathise with the people. He commended the people for their perseverance and understanding but pleaded with them to exercise patience, saying that the political leadership was genuinely concerned about their plight. Former Finance Minister, Okonjo-Iweala, said focusing on the basic issues of macroeconomic stability was crucial to fixing the country’s economic challenges. “If you don’t pay attention to the fundamentals of having a stable and good exchange rate policy, inflation under control, manageable fiscal deficit and debts, there will continue to be trouble in the economy,” she said. Nigeria is facing its worst economic crisis in decades. The economy slipped into recession after contracting in the first two quarters of 2016. Inflation jumped from 16.2 per cent in July to 17.1 per cent in August 2016, according to the National Bureau of Statistics (NBS). Since the introduction of the floating foreign exchange policy by the Central Bank of Nigeria (CBN), which freed the naira from a band of N197-N199 to the dollar, the currency has depreciated heavily on the parallel market. Okonjo-Iweala, a former World Bank Managing Director, told Al Jazeera that she remained optimistic that solutions to the country’s economic decline could still be found. Asked what would be her top three priorities to resolve the country’s current economic crisis if she had remained the finance minister, Okonjo-Iweala said she would prefer the current managers of the economy to talk about it. “I have contributed the best I could to the country. It is still the most interesting country in the world. It is better to leave those who are managing now to say what they would do. “All I can say is that there are solutions. Nigeria is a vibrant country. I love it so much. I know it is going to come out of this one way or another,” she said. On if President Muhammadu Buhari were to ask her to come and help in resolving the country’s economic crisis, Okonjo-Iweala said: “One of the things you learn as you get wiser is to talk less as you grow older. “I have spent my time contributing to the country. It will be better to leave those managing the economy to do what they know how to do. Speaking on developments in Africa, Okonjo-Iweala expressed regrets that the economic gains recorded in Africa have started being eroded in the last two to three years. 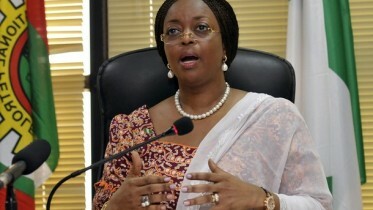 She spoke about the job initiative of the Goodluck Jonathan government, YOU-WIN. “The whole idea was to have a business plan competition. Beneficiaries were expected to create jobs to employ six people or more. “Each created 9-10 jobs. The World Bank did an evaluation of it and found it good. I do believe the government should come in. We started a peer to peer mentoring. Now, one of the things I want to say is that creating employment is not only about struggles, it is about managing success,” she said. On how the anti-corruption war was fought during her time in government, Okonjo-Iweala described it as “a very tough fight”. “It was tough. I must thank my team. You don’t do it alone. I had the support of an economic team in the Ministry of Finance. At the end of the day, you need to have some principles,” she said. Be the first to comment on "Senate to Investigate Recession as Saraki Calls for Collaboration on Economy"